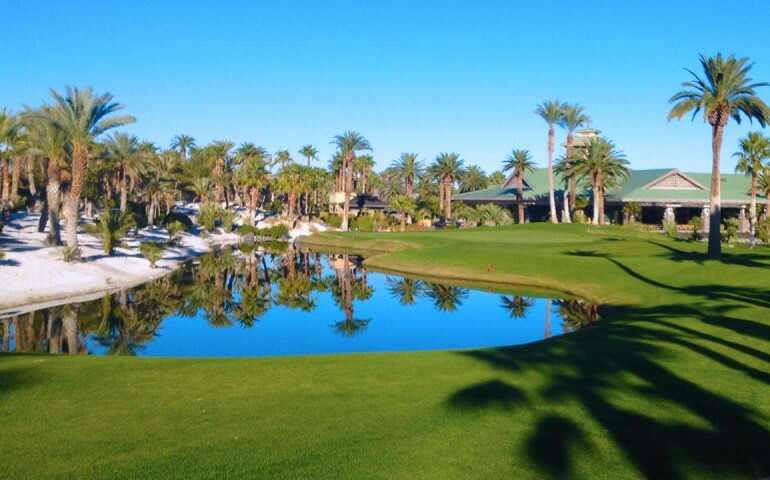 Bali Hai stands as one of Vegas’ best golf experiences, and that isn’t just an opinion. Over the years, the finest golf publications in the world have piled on honors to this majestic layout. 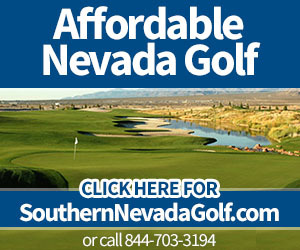 Golf Digest named it one of the best places to play in 2004; Golfweek called it one of America’s best golf courses and VegasGolfer Magazine honored it as the Best Overall Course in Las Vegas in 2004. Those are just a few of the noteworthy awards. More Bali Hai awards. This is one of the most driver-friendly golf courses in Las Vegas, but what it offers in width (if you miss fairways at Bali Hai Golf Club, you’ll miss them anywhere) it more than makes up in length (the back tees measure 7,002 yards). The course is beautiful and is decorated with hundreds of palm trees, Augusta-white waste-area sand, and glimmering water throughout. The par 3, 16th hole plays underneath the shadows of the clubhouse patio, and could be the most scenic spot in all of Las Vegas golf. Tropical golf is the best way to describe playing Bali Hai. And who plays it reveals the true character of a course. Bali Hai has played host to multiple celebrity events, and also hosted the Golf Channel’s smash hit, the Big Break. And almost on a daily basis, the biggest celebrities in the world—Bill Clinton was a recent guest–play Bali Hai on their own, many times concluding a round with a drink or meal in the award-winning Cili restaurant, originally created out of a partnership between Wolfgang Puck and Bill Walters, the owner and vision behind Walters Golf. 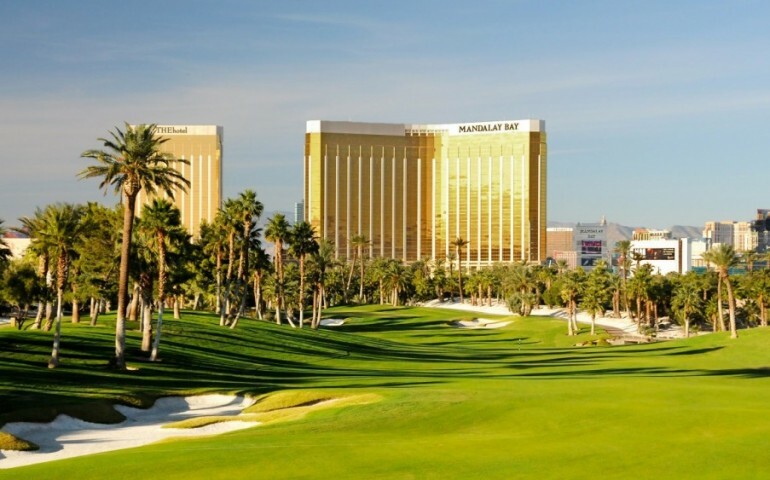 Bali Hai Golf Club is tucked in at the south end of the world-famous Las Vegas Strip, a benefit when it comes to those with a busy Las Vegas itinerary. The time you save driving to other courses can be used to roll a few more dice, flip a few more cards, or dine in one of Vegas’ many world class restaurants. Bali Hai Golf Club is inspired by the South Seas, and is golf decadence at its finest. One of the most special Las Vegas golf experiences available is playing Bai Hai in the setting sun. The fairways offer unmatched views of the Las Vegas Strip as it glistens to life. The course is a Lee Scmidt/Brian Curley design, and will impress any client, friend or golf buddy. Escape to the unexpected at the tropical Bali Hai Golf Club on the Las Vegas Strip. 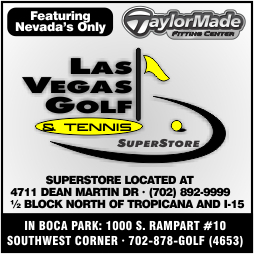 Copyright © 2018 Golf Las Vegas Now, All Rights Reserved.